The Maine State Prison in Warren. ROCKLAND, Maine ― With about 1,200 inmates being released from Maine prisons every year, Maine Department of Corrections officials say employment is key to their successful re-entry back into the community. Having employers and community organizations willing to work with these individuals before their release is a major step in that pathway to success. But working with people who have come through Maine’s criminal justice system doesn’t just help the individual, DOC officials argue. It also helps employers who are looking for reliable skilled workers. 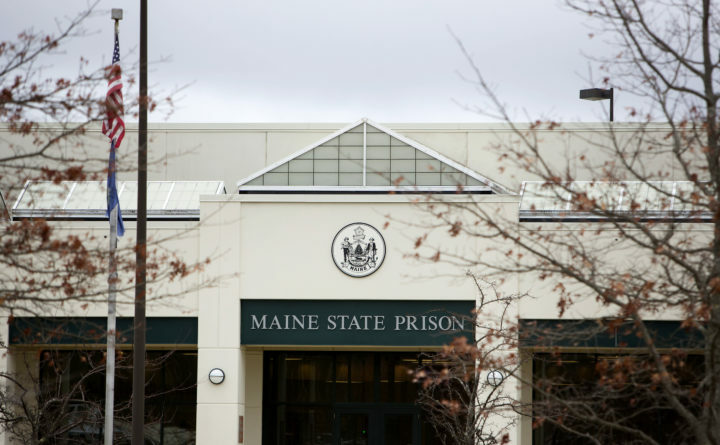 Maine has five adult correctional facilities statewide. They house about 2,400 inmates serving an average sentence of about 18 months, according to Deputy Corrections Commissioner Ryan Thornell. The number of new inmates entering the system each year is about equal to the number of inmates who are released. Throughout their incarceration, inmates have access to a range of vocational, educational, substance abuse and criminogenic programs. Thornell said the department’s ability to provide this programming, which the DOC intends to increase under the new administration, positions the department to tackle some of the big issues facing the state, such as addiction and maintaining a skilled workforce. Only inmates who are classified as “community custody” ― the lowest security classification ― are eligible to participate in the DOC’s work-release program. Work release allows inmates to leave a correctional facility during the day to work a job and earn outside income. Because the Maine State Prison and Bolduc Correctional Facility in Warren are nearby, businesses in the Rockland area have been working with the department for years to tap the work-release program offered at the minimum-security Bolduc facility. Last year, about 150 inmates worked at roughly 50 different businesses within 50 miles of the facility, according to Bolduc Correctional Facility Director Ben Beal. Maine Department of Corrections Commissioner Randall Liberty listens as Samantha White, an inmate at the Southern Maine Women's Re-entry Center, speaks at a forum in Rockland on hiring from the criminal justice system. State corrections officials stress that participating in the programming offered during incarceration is the first step to prepare inmates for the workforce. Work release could be a next step later in their sentence. These programs can either equip them with a certification in a trade, such as construction, or support more personal development. Early in his four-year sentence, Matt Pelletier, an inmate at Bolduc Correctional Facility who spoke at Wednesday’s forum, said he began to map out the steps he needed to change his life path. Pelleiter said the first step was getting sober after 10 years of using drugs. He then took classes on how to change thought patterns that made him commit crimes. After gaining a lowered security classification, he completed training and received a certification from an electrical program offered at Bolduc, which will allow him to leave the facility as a journeyman. He also became a certified recovery coach, meaning he can now provide support to those battling addiction. In 70 days he will be released from custody. In September, through the work-release program, he began working at Fisher Engineering in Rockland, where he makes snow plows. He was upfront during the interview process about the fact that he wants to become an electrician and that Fisher wasn’t where he intended to stay forever. He was honest, but appreciative ― qualities he said he didn’t have prior to his incarceration. A barrier to employment during and after an inmate’s incarceration is the stigma that comes with being a convicted felon. In Maine, an individual must disclose on a job application that they’ve been convicted of a crime. Jason Constantine, president of Rockland-based Back Cove Yachts, said while there may be a stigma associated with checking that box on an application, at his company and others, there is also an opportunity to explain and to own up to past mistakes. Back Cove Yachts employs individuals who are on work release as well as people who have been released from custody but are still on probation. Constantine said securing reliable and skilled employees can be a struggle, especially during periods of low unemployment, which is the case now in Maine. He said hiring from the corrections system has been a positive experience for the company. State corrections officials urged employers or community organizations to contact the department if they were interested in learning more about the workforce training and work-release programs. 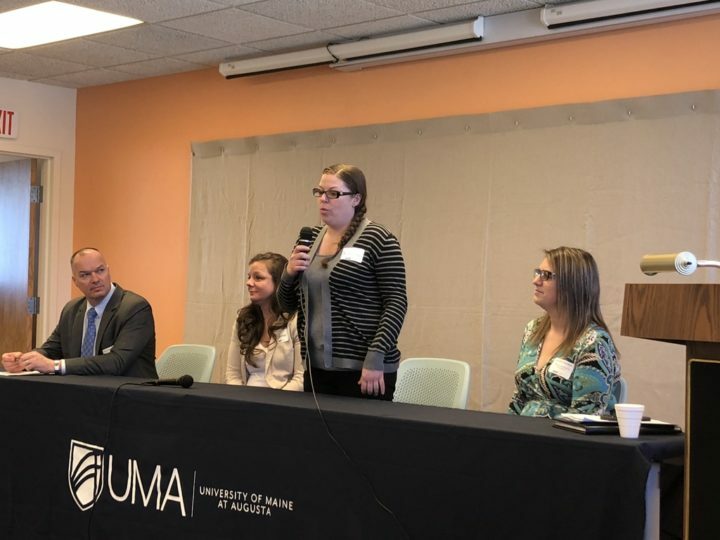 Amanda Wolford, director of female services at the women’s re-entry center, said the department has “an open door” to anyone who wants to offer information about employment opportunities in any area.